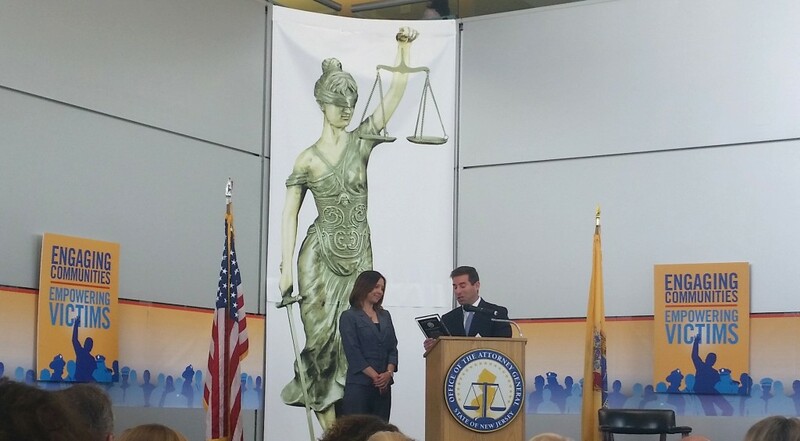 Division of Criminal Justice Director Elie Honig presents award to NJCASA Executive Director Patricia Teffenhart. 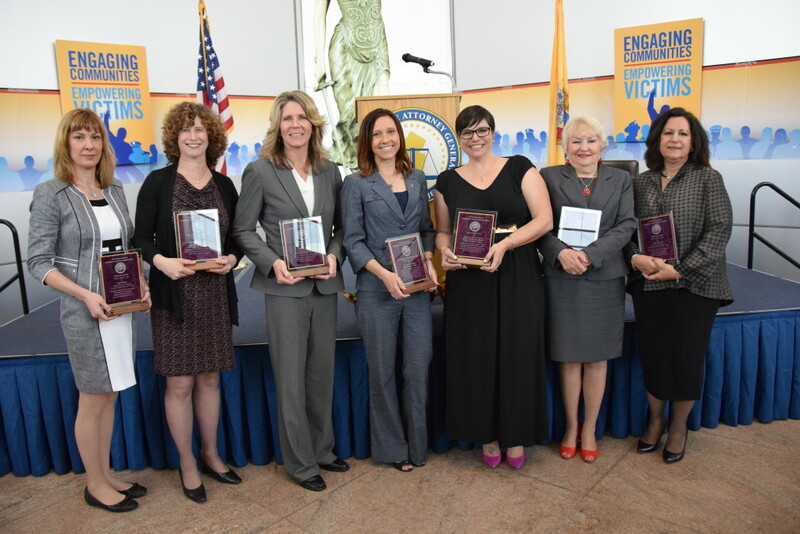 On April 21st, the New Jersey Coalition Against Sexual Assault (NJCASA) received the President Ronald W. Reagan Award at the Crime Victims Rights Week Ceremony held at the Richard J. Hughes Justice Complex in Trenton. The award is presented to an individual or agency that has: 1) shown a consistent commitment to victims’ rights and services; 2) employed extraordinary efforts in the delivery of services; and 3) advocated for victims via policies, protocols, legislation and other measures. 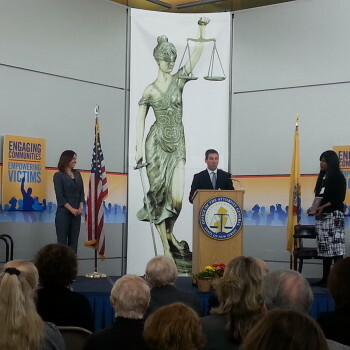 In his remarks, Division of Criminal Justice Director, Elie Honig said, “When you talk about vigorous, zealous advocates for survivors and victims, no one can top NJCASA.” Director Honig also acknowledged that NJCASA has worked collaboratively with the Division of Criminal Justice to make some important legislative changes and law enforcement policy. Over the last year, NJCASA has played a critical role in working with the Office of the Attorney General to meet the needs of survivors in New Jersey. Last Summer, the two organizations worked together to revise sexual assault forensic evidence retention guidelines, expanding the minimum retention time from a minimum of 90-days, to five years. On April 28th, over 100 law enforcement professionals from across New Jersey will attend the first ever statewide Domestic Violence and Sexual Assault Symposium, a training coordinated through the Division of Criminal Justice, with assistance from NJCASA. 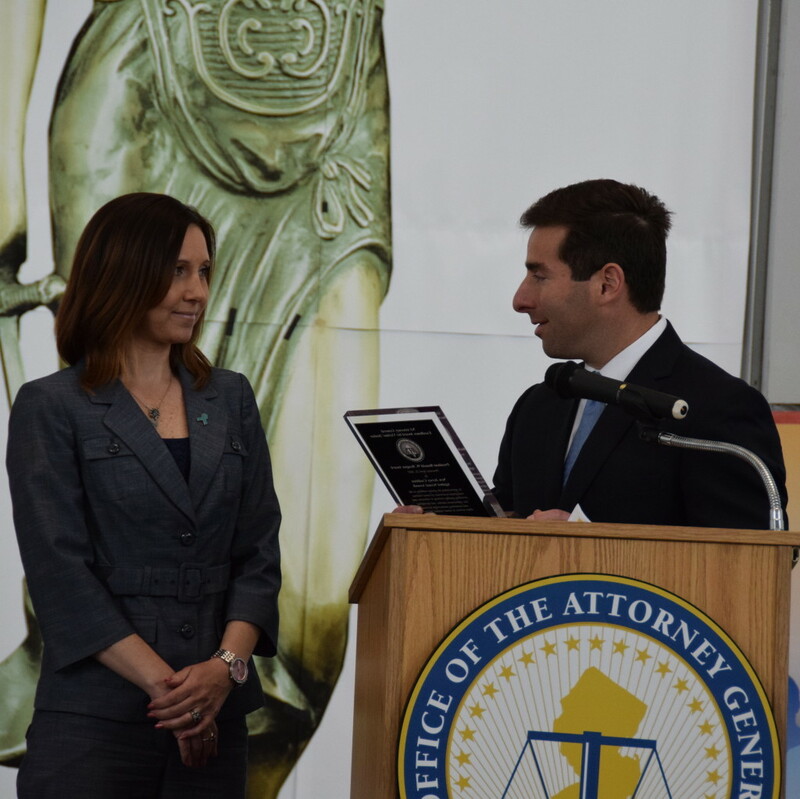 This event will further strengthen New Jersey’s response to survivors of sexual assault. 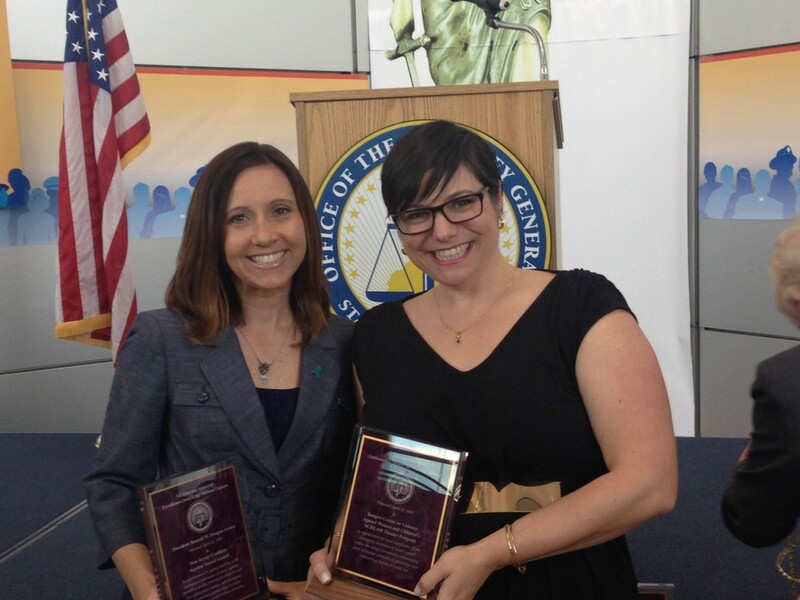 With feedback from the Office of the Attorney General, NJCASA worked with legislators to strengthen A-4078, the Sexual Assault Survivor Protection Act of 2015. This bill passed unanimously through the Assembly earlier this year and once passed through the Senate and signed by the Governor, will expand the provision of restraining orders to survivors of sexual assault. Given loopholes in current New Jersey law, approximately 80% of sexual assault survivors do not qualify for restraining orders, creating additional barriers for individuals trying to heal from the trauma of an assault. “We are proud of what we’ve accomplished, but there is much more to do! When we work together, with our unique perspectives and expertise, keeping survivors in the forefront of all we do, New Jersey wins. Together, we create safer communities and a more just society. 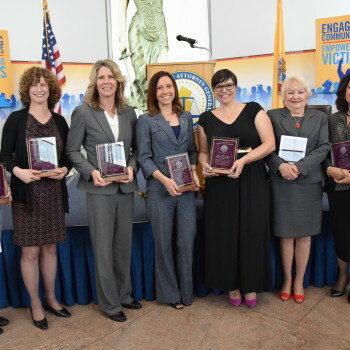 It is an honor to be recognized for our advocacy and we look forward to continuing to work with other stakeholders to ensure that New Jersey addresses the complex issues relating to sexual violence,” said Patricia Teffenhart, NJCASA’s Executive Director. 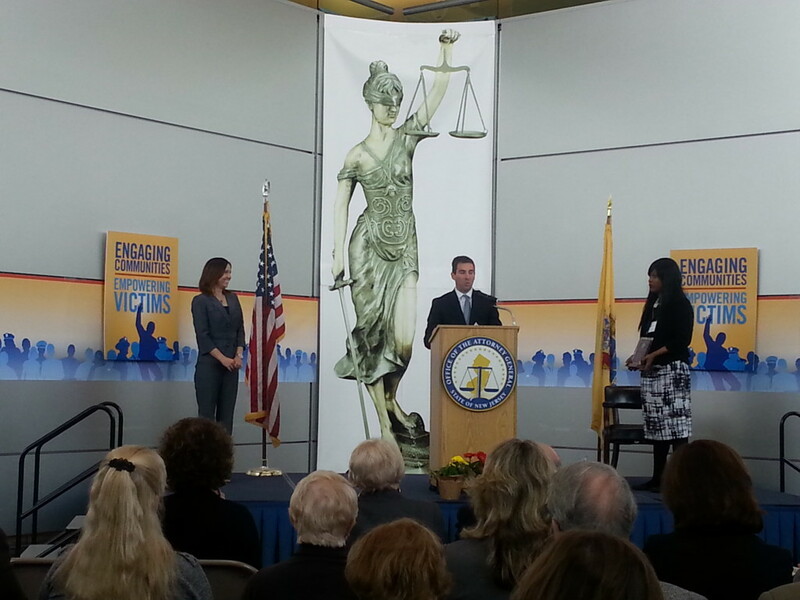 The awards ceremony is convened annually, as part of New Jersey’s participation in National Crime Victims’ Rights Week. This year’s theme is “Engaging Communities. 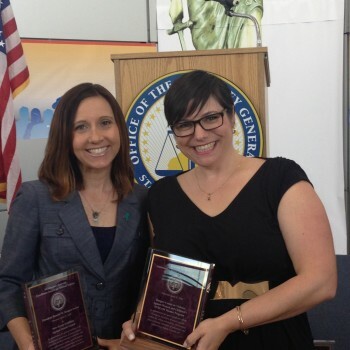 Empowering Victims.”, which is in-line with NJCASA’s belief that every person has a role in creating safer spaces and empowering survivors to guide their own healing.